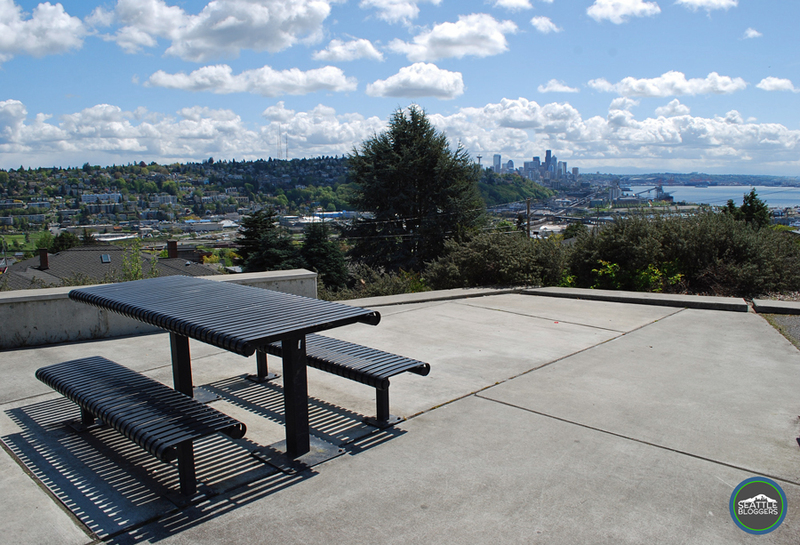 Several Seattle parks offer incredible views of the city, but they really only serve one purpose — they’re a viewpoint. That’s a great purpose to serve, but there really isn’t anything else to them. That’s why Ella Bailey Park in Magnolia stands out above the rest of the “viewpoint” parks. 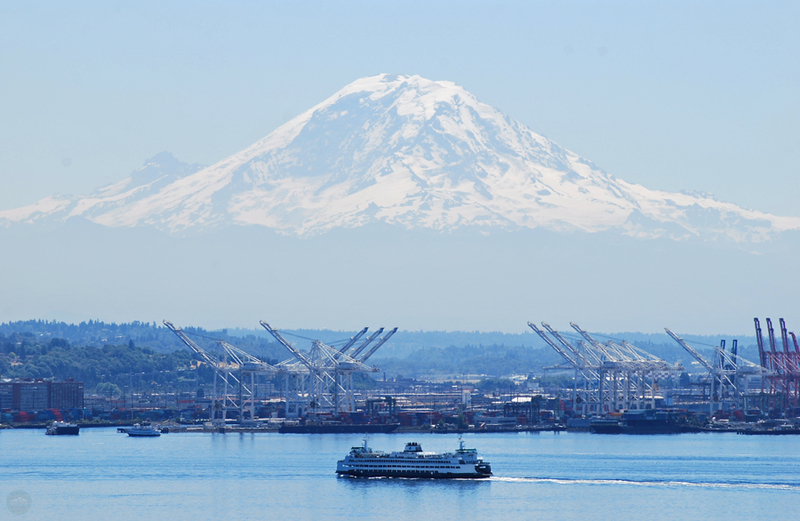 It has an awesome view of Seattle, but it also offers fun for the entire family. 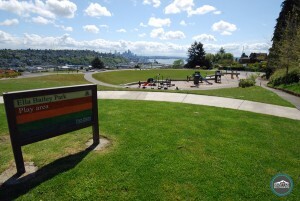 Opened in 2007, Ella Bailey Park (2601 W. Smith St.) is one of the newer parks in Seattle. It’s named after the former property owner Ella Bailey, who sold the land to the city in 1929. Once used as a playground for the former Magnolia Elementary School, Ella Bailey Park is now open for everyone’s enjoyment. Since I don’t have kids, the view of Seattle is what draws me to Ella Bailey Park. 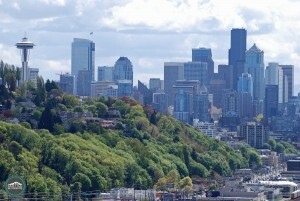 You can see the city skyline (including the Space Needle, The Seattle Great Wheel, and the stadiums), Mt. Rainier (on a clear day), and the Puget Sound. If you look east, you can also spot the Cascade Mountains. 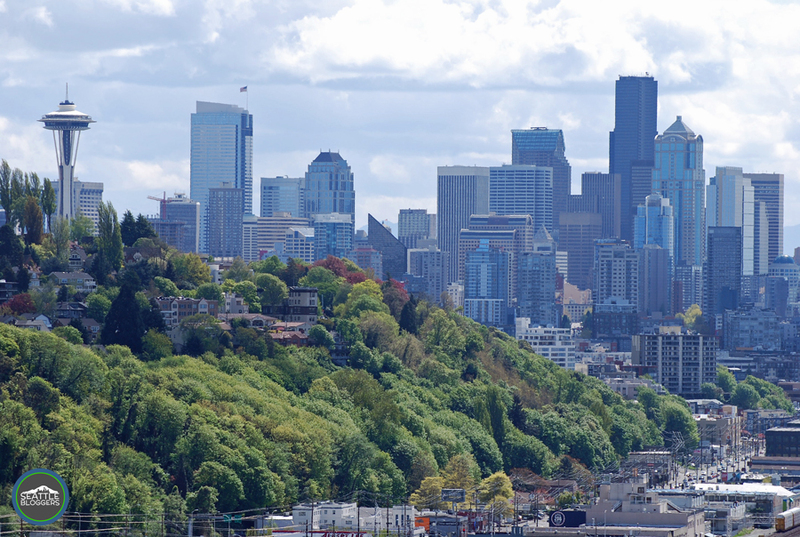 The view of Seattle is a little obstructed by Queen Anne Hill (you can only see about half the Space Needle), but it’s still easily one of the best views you’ll find of the city. 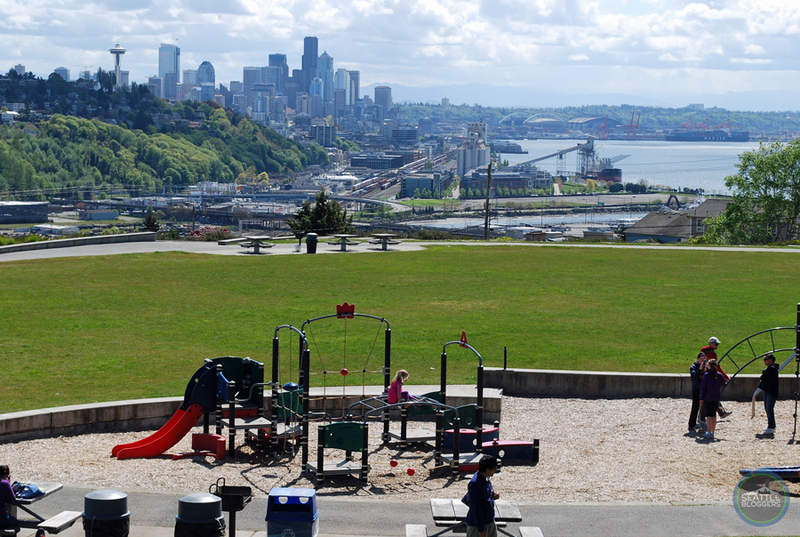 On top of the view of Seattle, Ella Bailey Park also has a big playground (with several different play sets for all ages), two basketball hoops, a short loop trail (good for walking, jogging, and biking), barbecues, and picnic tables. There’s also a large grass area for activities in the middle of the park. NOTE: I discovered Ward Springs Park on Queen Anne a while back, and quickly crowned it ‘The Coolest Playground in Seattle’ (because of its great view of Seattle, the old pump house, and its fun playground). But now, Ward Springs Park has some serious competition. With its spectacular view, huge play area, barbecues, and basketball hoops, Ella Bailey Park might take the cake. Ella Bailey Park is open everyday from 4 a.m. – 11:30 p.m. That means the view of Seattle is available day and night throughout the year. The park is also known as a hot spot for the Fourth of July and New Year’s Eve fireworks. To put it simply — Ella Bailey Park is a hidden gem in Magnolia. I most recently visited on a sunny Saturday and there were only a handful of people at the park. It’s an awesome little place (only .12 acres) that’s totally worth going out of your way for. Have you ever been to Ella Bailey Park in Magnolia? 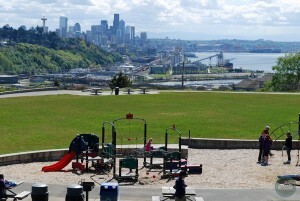 What’s your favorite part of the park: the view of Seattle, the playground, the barbecues? We’d love to hear from you! Please leave a comment below or connect with us on Twitter, Facebook, and Google+. 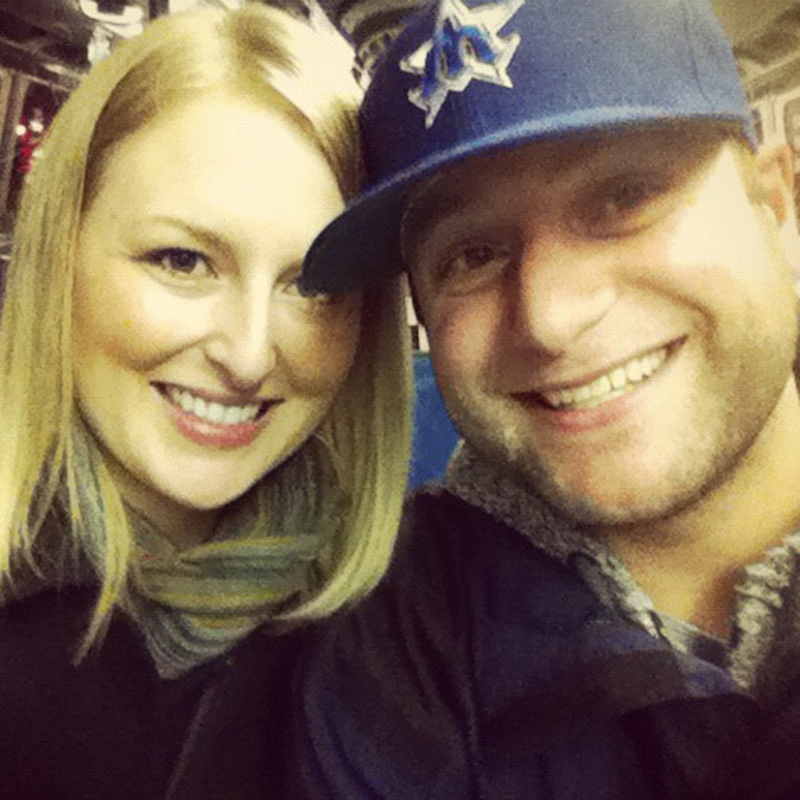 Don’t forget to also check out Seattle Bloggers for more awesome places to experience in the Emerald City.